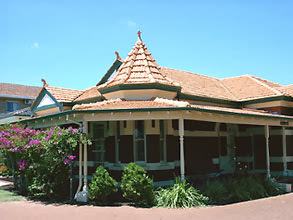 The Federation Heritage of Mt Lawley W.A. The upper-crust inner-northern suburb of Mt Lawley was the top performer over the quarter and the year, with median house prices up 9.5% to $1.02 million from 90 sales. Mt Lawley is also the top-performing suburb for the calendar year, with house prices up 19.6%. Last year, residents of Mt Lawley were up in arms when it was revealed that McDonald’s planned to open a restaurant in a popular spot – it was later declared a hoax. Recent sales include a three-bedroom house on First Avenue, Mt Lawley, that sold for $1.07 in November last year having previously sold for $879,000 in January 2011 – annual price appreciation of around 11%. 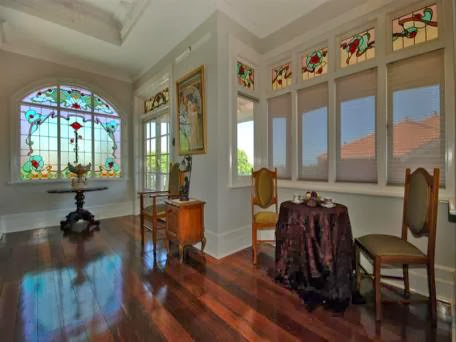 The highest price recorded over the year in Mt Lawley was $3.025 million paid for a three-bedroom Art Nouveau home built circa 1913 at 73 Farnley Street featuring custom-designed stained-glass windows in nearly every room of the style of the architectural period. Traditional houses in Mt. 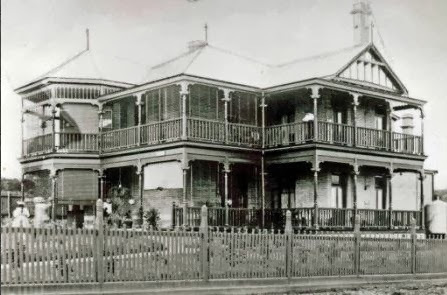 Lawley were constructed predominantly in the period 1910 to 1950. Most houses are single storey and are generally constructed of red brickwork that in many instances is partly rendered. 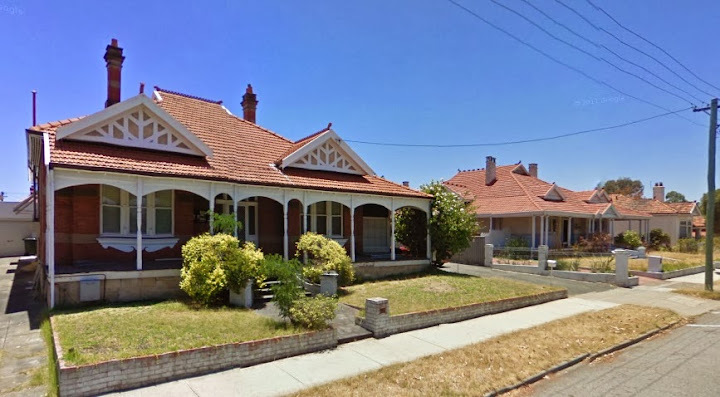 Mount Lawley Estates 1 and 2 provide a rare example in Perth of a substantially intact residential area from the first decades of the twentieth century. The area is characterised by an innovative street layout based on the natural topography of the area, together with a traditional streetscape featuring verges, footpaths and regular planting of street trees. 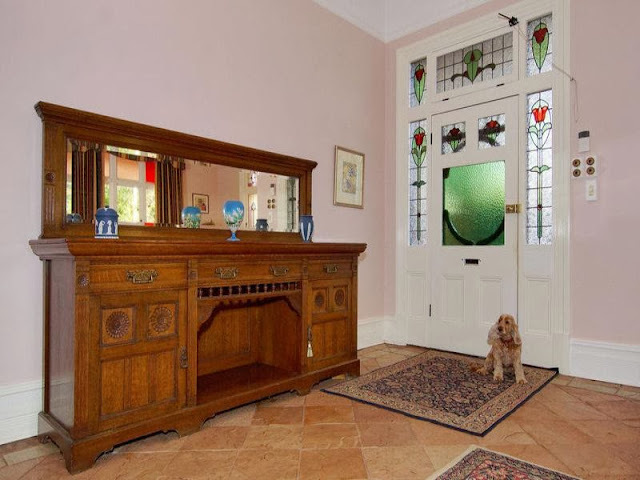 There is a predominance of large homes from the early twentieth century and inter-war period, many of high architectural quality, in established landscaped gardens. A canopy of mature trees in back gardens gives an established quality to the area. Excellent examples of housing from the early 1900s including examples of Federation Bungalow, Queen Anne, Arts and Crafts and Californian Bungalow architectural styles. 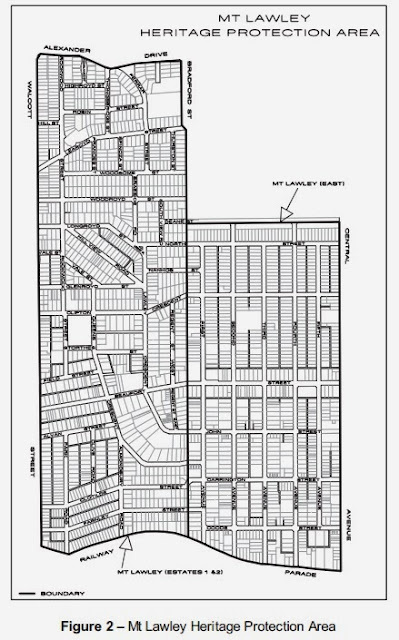 The road layouts of Estates 1 and 2 differed from the adjacent subdivisions where streets were laid in a regular grid. The layout of Estate 1 followed the contours of the land with the result that roads such as Clifton, Lawley and Queens Crescents and Farnley and Clotilde Streets curved with the gradient of the land and added diversity to the general subdivision pattern. 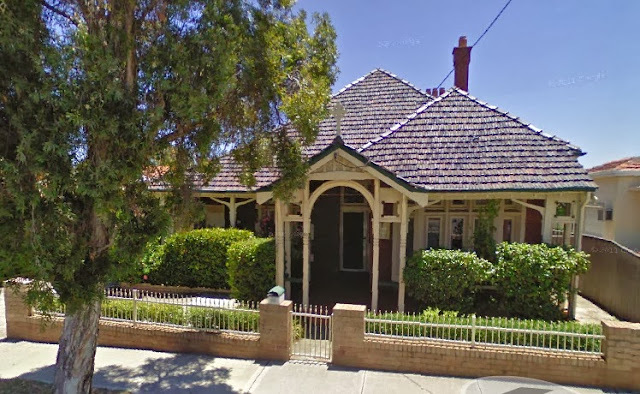 Many of the older Mount Lawley character homes are of heritage value, but few are protected! Of “Classification 1” places, (highly valued by a community or cultural group) none of the Federation houses below are includedon the State Register of Heritage Places or are significant sites (class. 1) owned by any City Council. None are protected at all, though local councils may have preservation views recorded. 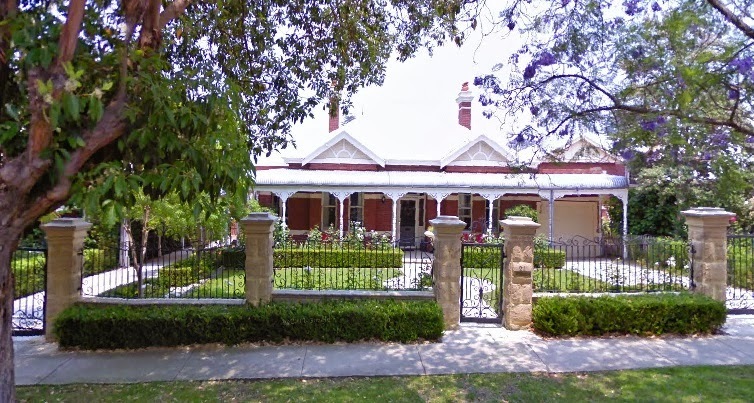 Just as startling to an outsider, the heritage homes of Mount Lawley are split between three councils, Bayswater, Stirling and Vincent. 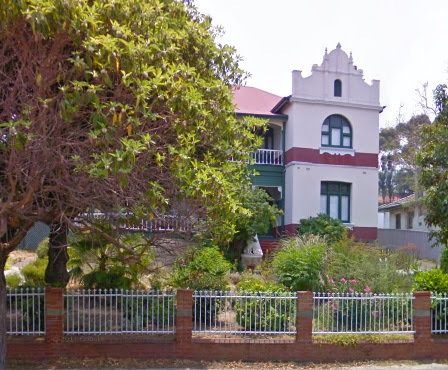 Only three Mount Lawley buildings are listed on the Australian Heritage Database, none of them of the Federation style most handsomely illustrated in Mount Lawley. Another 68 houses are listed by Local Government as important to some degree. (Advanced Search: ‘Residential’+’Federation’). Finally, the W.A. Government Heritage register, ‘inHerit‘ is frustratingly sometimes not available, and so is obviously poorly valued by the W.A. government (error: “HTTP Error 503. The service is unavailable”). Where it is proposed that a place on the Heritage List is to be demolished then the proposal may be advertised in accordance with Clause 9.4.3 of Local Planning Scheme No. 3. New additions to existing buildings must reflect the heritage character of the area and the style of the existing building. The Heritage Loan Subsidy Scheme subsidises interest rates on loans for conservation works by 4%, offering owners significant savings. Loans can be arranged through the financial institution of the owner’s choice. The Heritage Loan Subsidy Scheme is administered by the WA Local Government Association (WALGA) and the Heritage Council of WA. To be eligible properties must be listed on the City’s heritage list and/or State Register of Heritage Places or the National Trust’s List of Classified Places. The City of Vincent administers the Heritage Assistance Fund. All places that are listed on the City’s Municipal Heritage Inventory are eligible to apply for financial assistance for conservation works or conservation documentation such as a Conservation Plan or Heritage Impact Statement conducted on a heritage listed property. 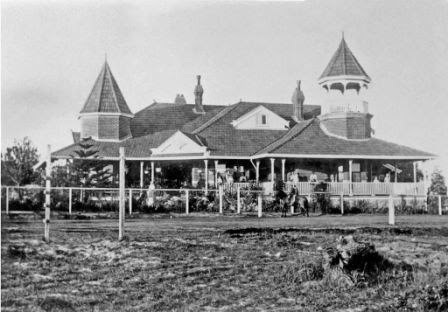 Mount Lawley was named in honour of Sir Arthur Lawley, the Governor of Western Australia from May 1901 to August 1902. 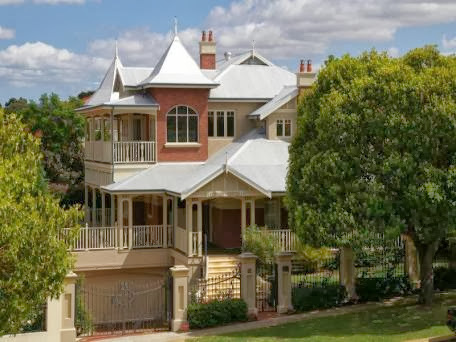 Mount Lawley was built on land surveyed between 1833 and 1839 and granted to William Layton and John Gregory. The area became renowned as a stopping place for travellers in the 1830s, when Gregory established the Pineapple Inn. 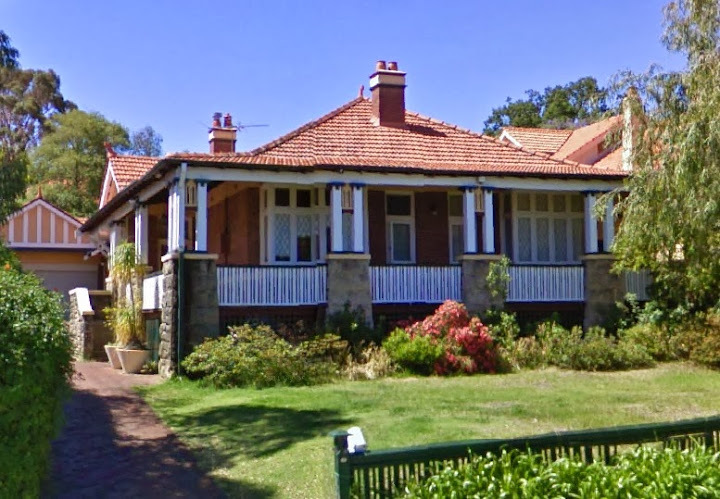 Subdivision of Mount Lawley began in 1892 by the Sydney and Perth Land Building and Investment Company. 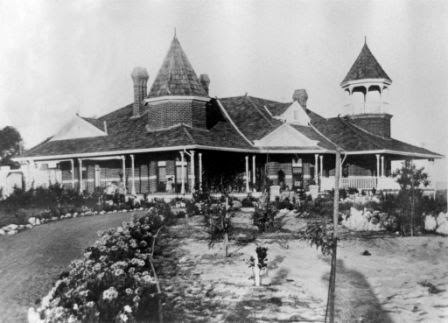 John Robinson and Samuel Copley acquired land in 1900, which was later developed as the Mount Lawley Estate. The area attracted wealthy business people and high-ranking public servants, with houses built to a high standard. Amenities such as churches and colleges were also provided in order to cater for the local population. 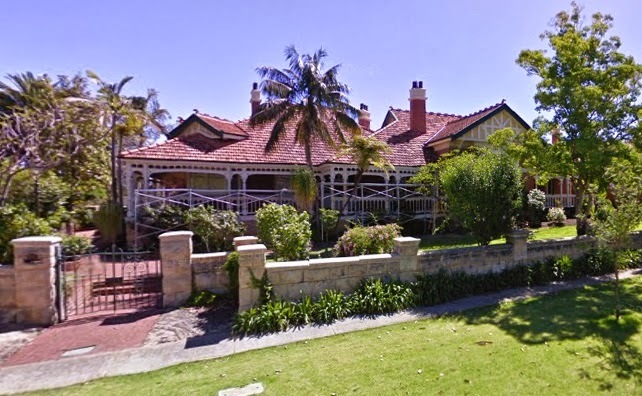 Mt Lawley is well known for its magnificent homes built on large blocks. The suburb boomed, following the construction of a tramline from the Barrack Street Jetty to Walcott Street in 1902. Many members of the Road Board lived in the area. 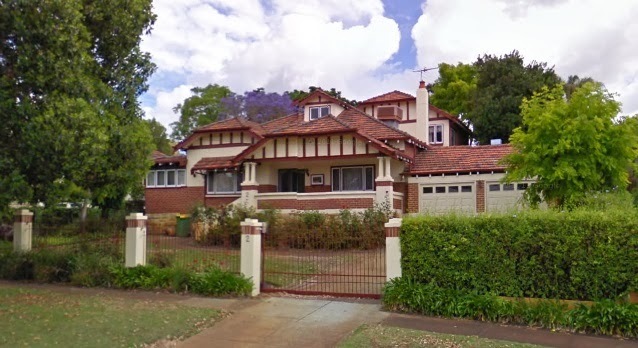 Mount Lawley is largely characterised by Federation and Colonial style dwellings with isolated examples of English vernacular revival, art-deco and Californian bungalow styles. The majority of houses are single detached dwellings on large lots. There are also some group and multiple unit developments dispersed throughout the suburb, particularly around Beaufort Street. Many of the older character homes are of heritage value, and have been renovated and preserved. 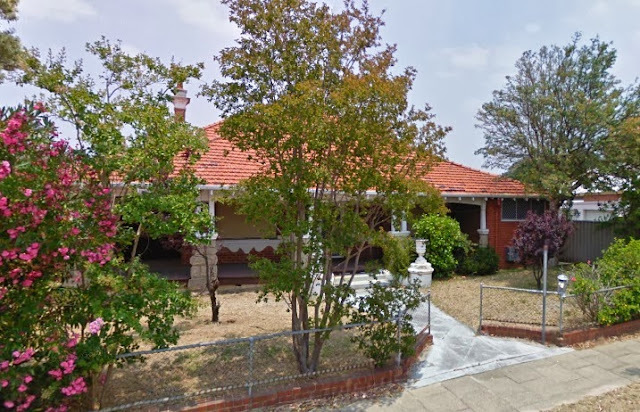 The majority of homes in Mt Lawley are of brick and tile construction. 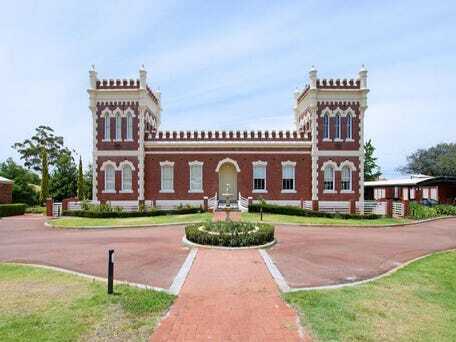 The Albany Bell Castle is a heritage-listed building at the corner of Guildford Rd and Thirlmere Road in the Perth suburb of Mount Lawley, Western Australia. It was built in 1914 for the catering company Albany Bell Ltd as a factory to manufacture cakes and confectionery for its eleven tearooms in Perth and three in Kalgoorlie and Boulder. This building is now residential apartment dwellings. 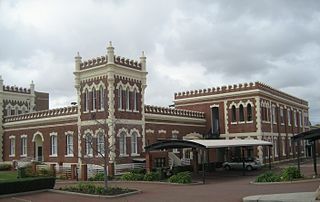 Albany Bell Castle is a rare Western Australian (WA) example of a factory specifically designed along the Garden Factory concept. It was designed to satisfy the philanthropic approach that its founder had to the welfare of his workers and combined an embellished architectural expression and landscaped setting, with considerations for health and safety. Albany Bell Castle (1914-19) was designed by Mr Alexander Cameron, of Wright Powell and Cameron. It is a prominent landmark on Guildford Road and has distinctive architectural form, including battlements and corner towers, set amongst a garden landscape. 49-51 Lawley Crescent, Mount Lawley W.A. 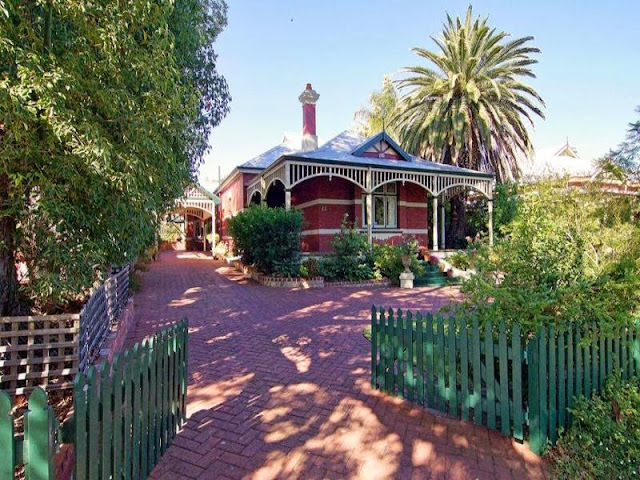 the size and quality of Annesley, as well as its siting and garden make it an uncommon structure. 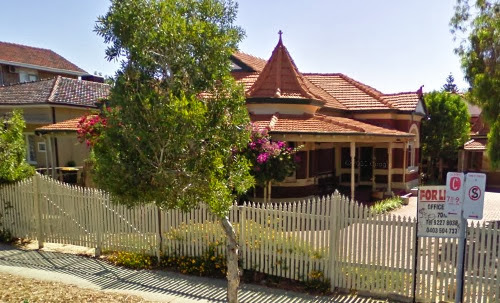 Erected c.1910 in brick and tile as a residence for Bishop Gibney – Roman Catholic Bishop of Perth. Gibney also owned several other houses in Vincent street. 1935 Killowen House and land purchased through Mother Brigid McDonald from the Robinson family. Walcott Centre, a complex of domestic scaled buildings constructed of traditional materials including brick, rendered brick, timber frame with sections of weatherboard, rough cast, rendered-finish flat panels, terracotta roof tiles and corrugated iron, comprising the Main Building (1921), former Nurses’ Quarters (1921), former Detention Centre (1921) etc. 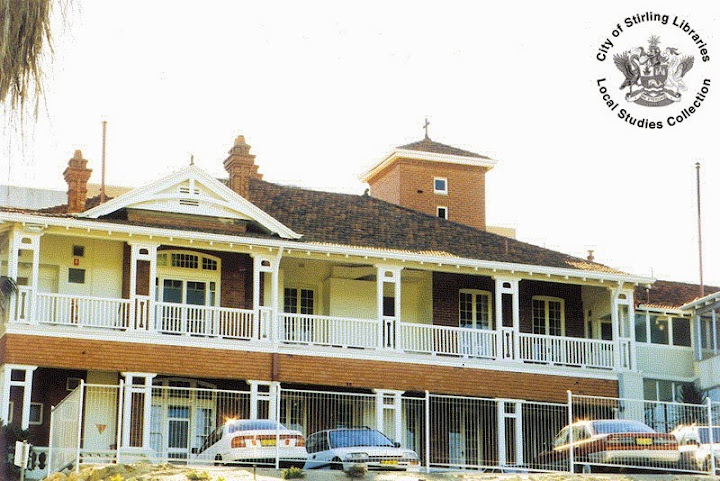 The complex was heritage listed in 2001.
the place is representative of the establishment of the social and visual character of Mount Lawley in the early 1900s; and, the place has a close association with Richard Haynes, a prominent lawyer and politician in Western Australia at the end of the nineteenth century.